“I will make you a star” is the latest series of works by Hunter & Gatti that reflects their desire to bring together photography and painting in one format. The artistic duo was inspired by Jean-Michel Basquiat’s neo-expressionist paintings, and more particularly by a specific incident in his career: the moment that art dealer Rene Ricard spotted Basquiat’s work at a party and promised him that he would make him a star. When Basquiat’s work started to become famous, the art world was living a very special moment. New York’s art scene was overflowing with charismatic people and having a strong public persona was a major influence in the way one’s work was being perceived. Despite the fact that Basquiat’s art was undoubtedly unique, his image, his aesthetic and his personality contributed the most to his success. 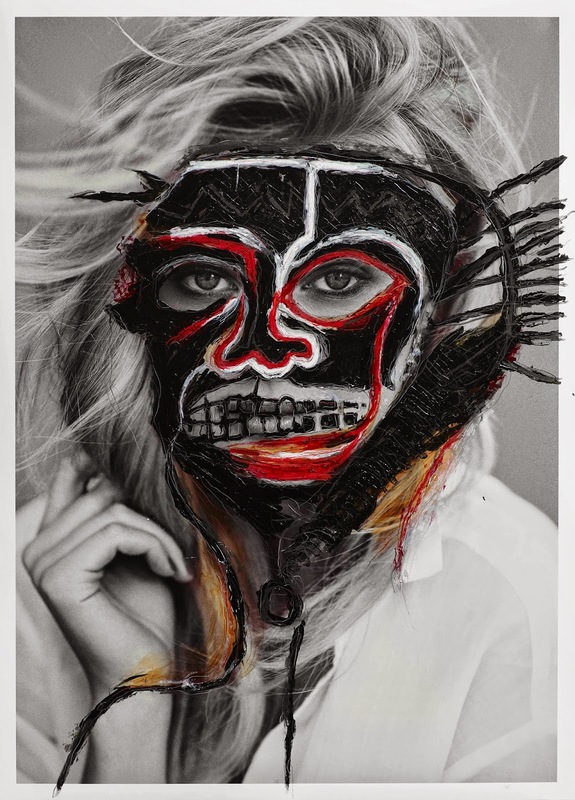 Hunter & Gatti wanted to pay tribute to Basquiat’s legacy by merging the celebrity portraits they had made in the past for fashion editorials and campaigns, featuring the most iconoclastic members of today’s fashion scene, with Basquiat’s paintings that transcend the limits of the art world and form part of our collective unconsciousness – just like the famous faces of their photos. 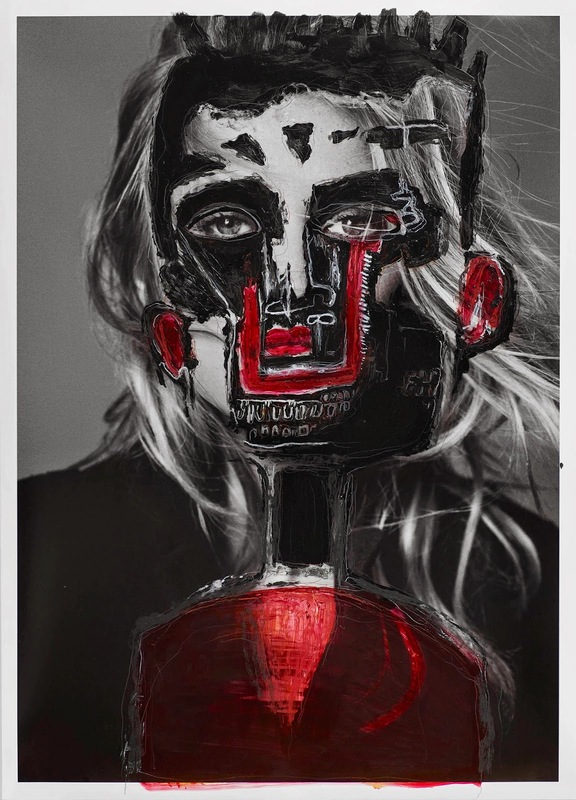 Their idea was to create a series of original hybrids that explore the limits of popular culture, reflecting, at the same time, fashion’s on-going interest in the art world. Fashion has always been flirting with art, a trend that has grown considerably over the last years and continues to increase at a fast pace. Nowadays all fashion magazines have their annual art issue and their proper stands at the greatest art events all over the world. On the other hand, fashion designers collaborate on a regular basis with artists, creating exclusive collections that reflect the vision of both the artist and the designer. Inspired by the power traditionally attributed to image, Hunter & Gatti wanted their works to perpetuate the wildfire velocity of fashion and the fast cycle of trends that continuously change from season to season, consuming voraciously any of the images they had created. 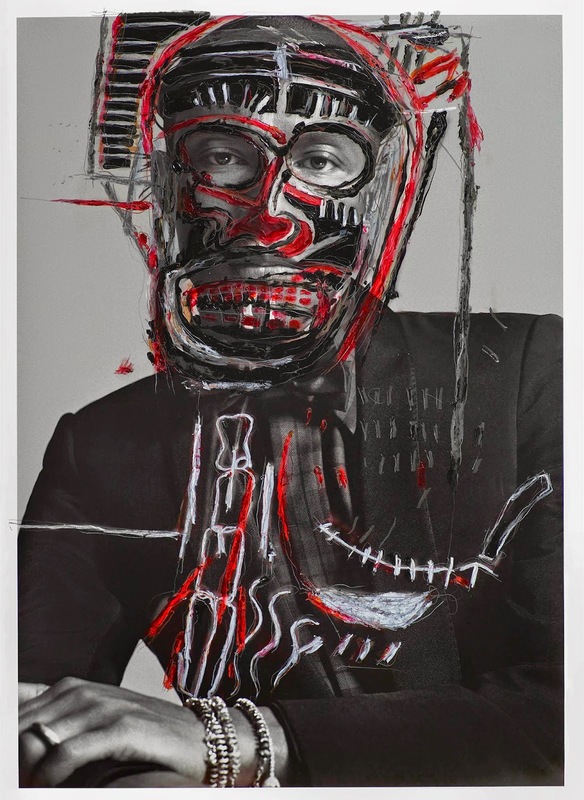 As a response to that, the photographers started to paint over their photos, artistically adopting Basquiat’s primitive style, in order to give them a new-born identity, a new origin, and make them unique. Hunter & Gatti were fascinated by the idea of using something as strong and successful as Basquiat’s iconography to "turn their own images into stars". 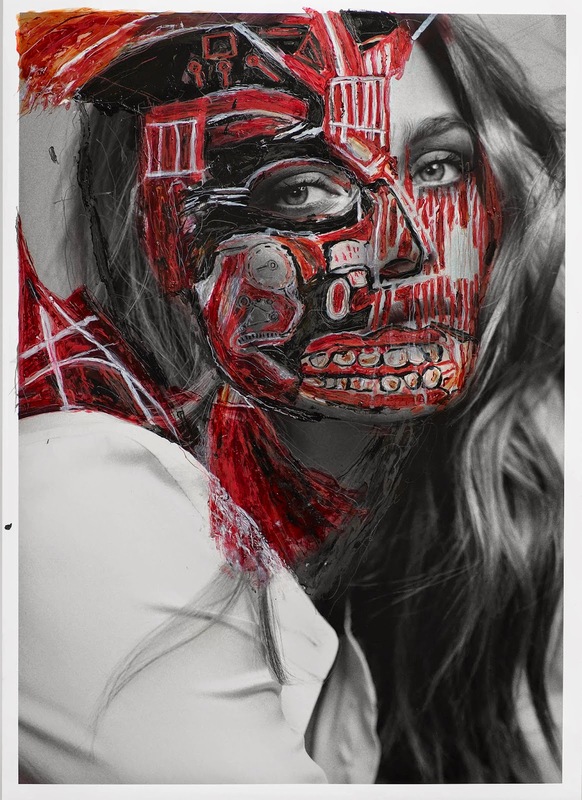 Their Basquiat-inspired painting interventions take their photographic works out of the fashion context, where perfection reigns, and places them to the art field, the street and its graffiti (another nod to Basquit), and the art frenzy of the modern metropolis of the world. Out of the destruction of perfection, a new world arises, defying the commercial character of the fashion industry. 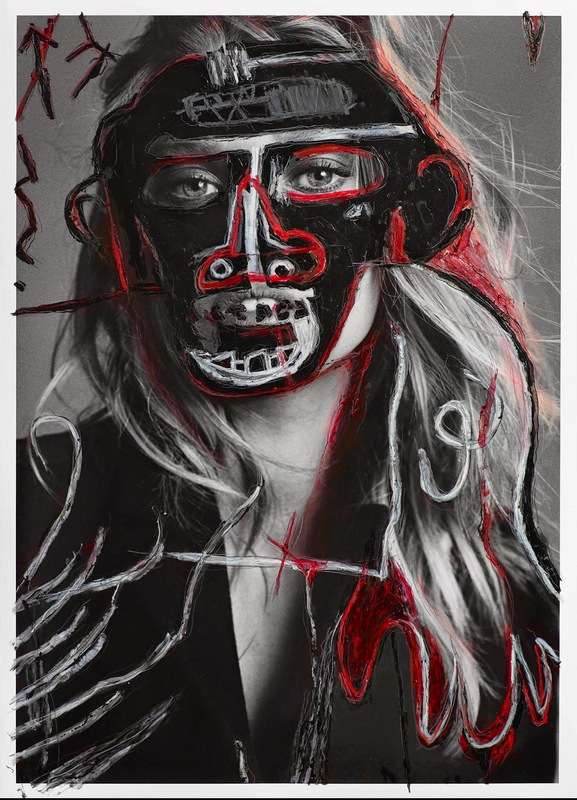 After all, we shouldn’t forget that some critics had originally looked down on Basquiat’s works for being a mere product of consumerism, same as it happens nowadays with the genre of fashion photography. Hunter & Gatti wanted to make their particular comment on this situation and explore the blurred lines between fashion and art, using two “formulas of success”: the glossy images of models and actors that have acquired celebrity status and the highly-valued paintings of a renowned artist that has become the symbol of a whole era. 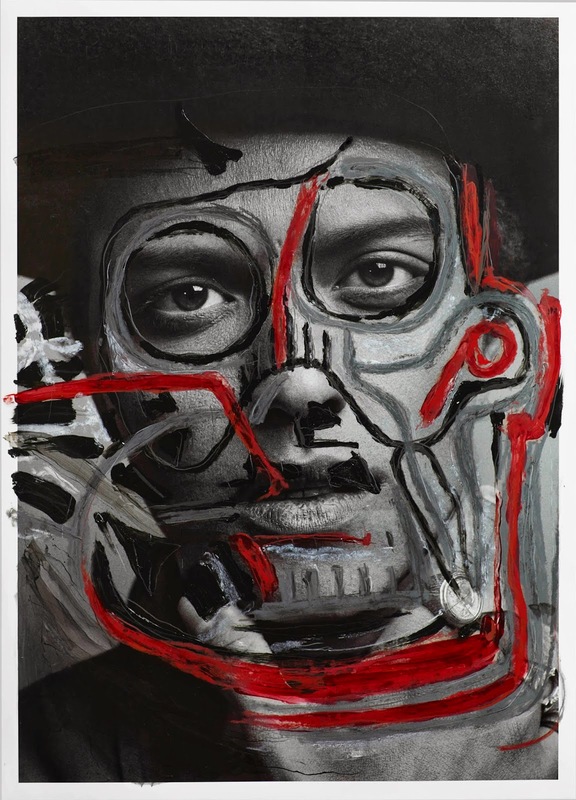 We may unconsciously recognize the identity of the celebrities that are hidden behind the layers of painting, but at the same time we are left perplexed by the new faces that have emerged –and it’s this very contradiction that makes Hunter & Gatti’s artworks unique.